This brilliant three-tier, all white cake is a Disney movie fanatic's dream. 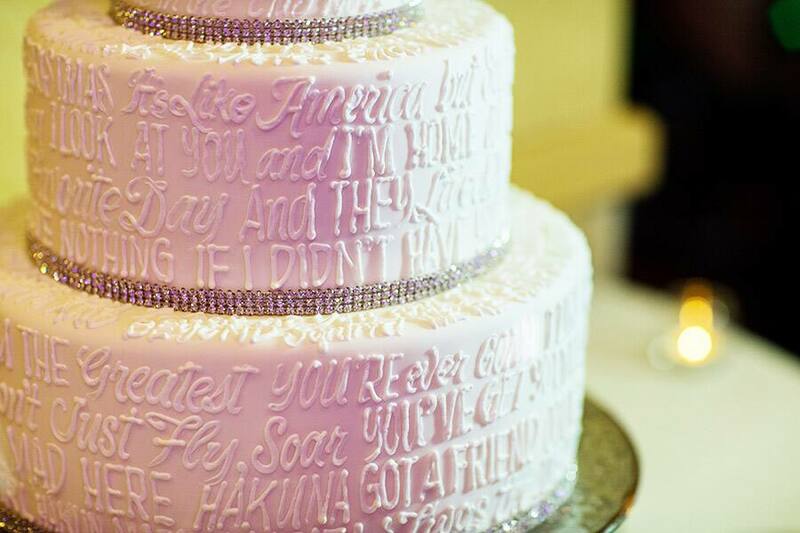 Each layer is completely covered in the iconic phrases and quotes from Disney films, such as Lion King, The Little Mermaid and Dumbo. 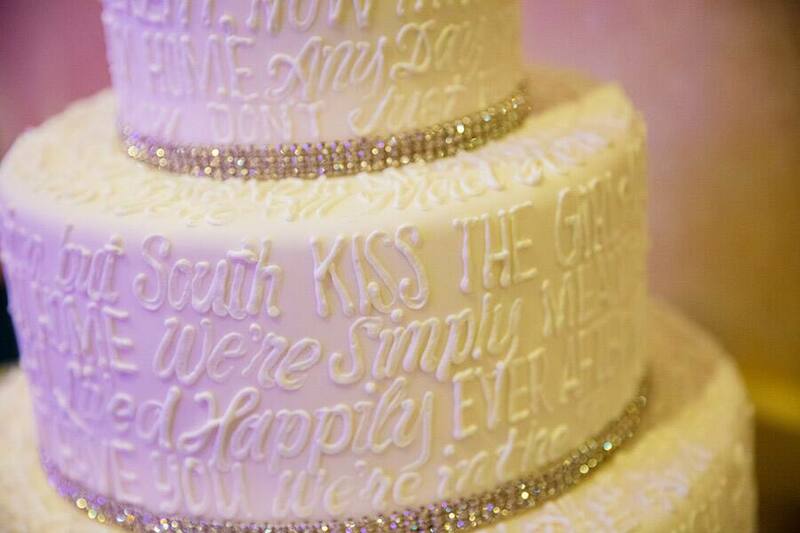 I love the careful lettering and the shimmering bling that separates each tier. It is an elegant way to show off a touch of Disney for those who don't want to go to over the top. 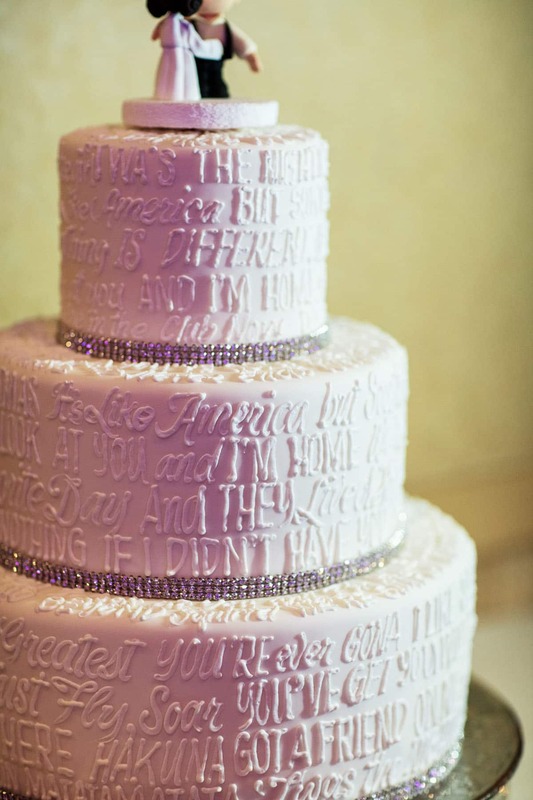 Just look at the photos, this cake says it all - literally!